Barcelona will visit Lyon February 19 before hosting the second leg at Camp Nou a month later. FC Barcelona will play Lyon in their Champions League quarter-finals participation. Ernesto Valverde spoke about his club facing the French team, saying Lyon will be a difficult squad to meet at this stage in the tournament. “The truth is that I have seen little. 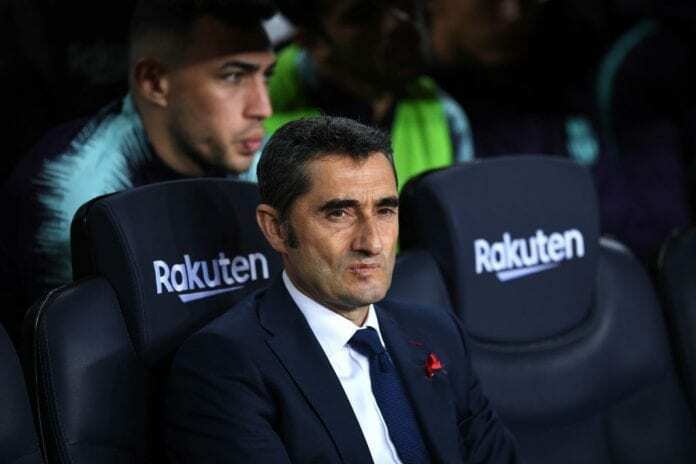 I have a general idea, there are some players that we know, but we have to prepare well,” Valverde told Barcelona’s media channel, according to FourFourTwo. “It’s a team that was challenging City for the leadership of the group until the last game and won at their ground. “That shows the difficulty to win any game. Not only for us but for any team. “I have the sense they are a very dangerous team in space because they break very well, very fast, and we have to be a little careful. FC Barcelona haven’t been able to get past the quarter-finals stage in the last three seasons.